Suite of products developed by Microsoft Corporation that includes Microsoft Word, Excel, Access, Publisher, PowerPoint, and Outlook. Each program serves a different purpose and is compatible with other programs included in the package. The suite of programs is compatible with both the Windows and Macintosh operating system. 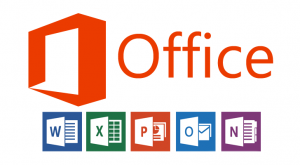 Microsoft Office is the most common form of software used in the western world. If you are looking for online training then drop us an enquiry.